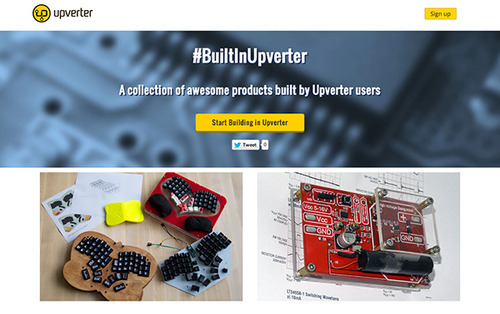 See what kind of projects our customers are building with Upverter! We were excited about a lot of things when we set out to build the best tool for creating hardware. We were excited to see the application in action, learn from our mistakes, and fine-tune our platform; we were thrilled to drive forward the Hardware Renaissance and contribute in a big way; and we were dying to see what our users could come up with when equipped with Upverter. Needless to say, we love our customers. They build some incredible things on our platform everyday and it’s been a big source of motivation for us to improve our tool all the time. Click the image below to browse through some of these projects and to find out how Upverter has helped make it happen!